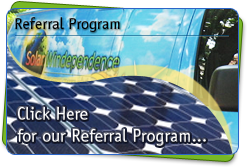 SolarWindependence combines wind and solar energy to reduce your electric bill forever. Solar Windependence is an installer and trusted provider of residential and commercial Long Island solar panels & solar systems, and wind turbines located in Farmingdale, NY. We offer a combination of green products and technologies, including lightweight, high powered wind turbines, PV solar panels and solar fencing to help to reduce energy consumption from fossil fuels and significantly reduce your utility bills. Ask us about Net Metering and how you can sell excess energy back to your utility company. Large Federal and State Rebates are available. We’re committed to preserving our environment, and we strive to provide the highest quality and most cost effective alternative energy solutions on Long Island, in both Nassau County and Suffolk County. That is why we are the prefferred solar contractor of Long Island solar panels and renewable energy solutions. Call us today, and start saving!